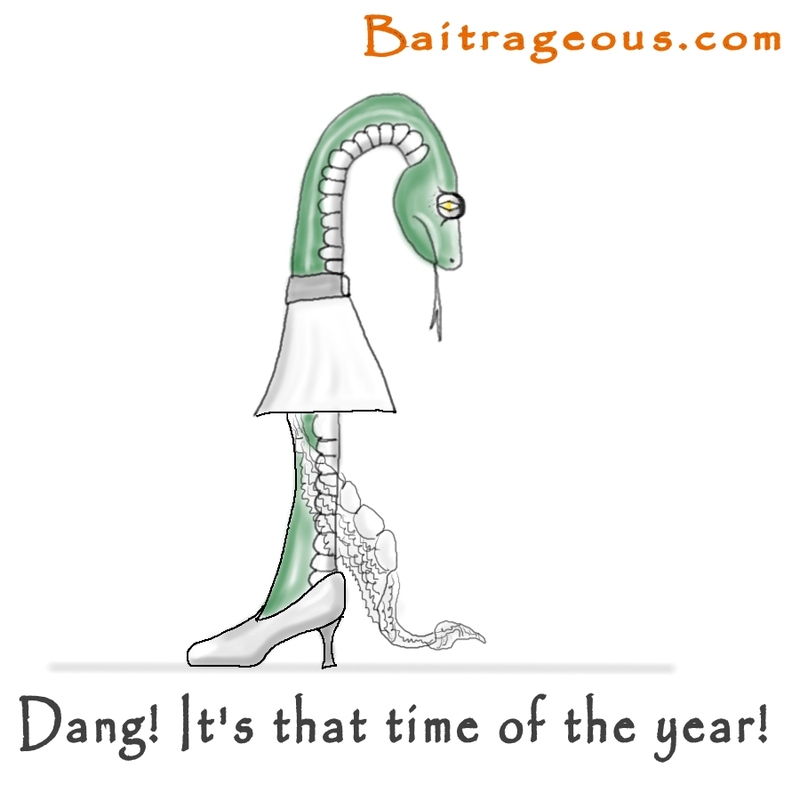 BaitRageous: Baitrageous- That time of the year! 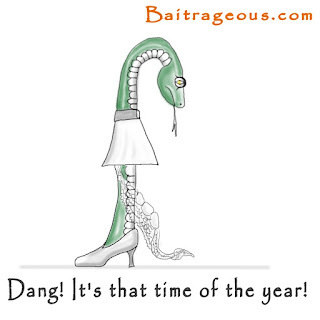 Baitrageous- That time of the year! Gerty the green snake was almost ready for the garden party at the Garter Snake's house. She couldn't wait because they always had delicious caterpillar dip. After arriving, disappointment set in quickly as Gerty looked down and realized it was that time of the year. Gerty thought.....oh well, I'll soon have a new spring outfit. Stay tuned to see what happen's to Gerty next!